Go to caring.com to publish your review! Join Us On November 14, To Celebrate Our New Rehabilitation Suite! 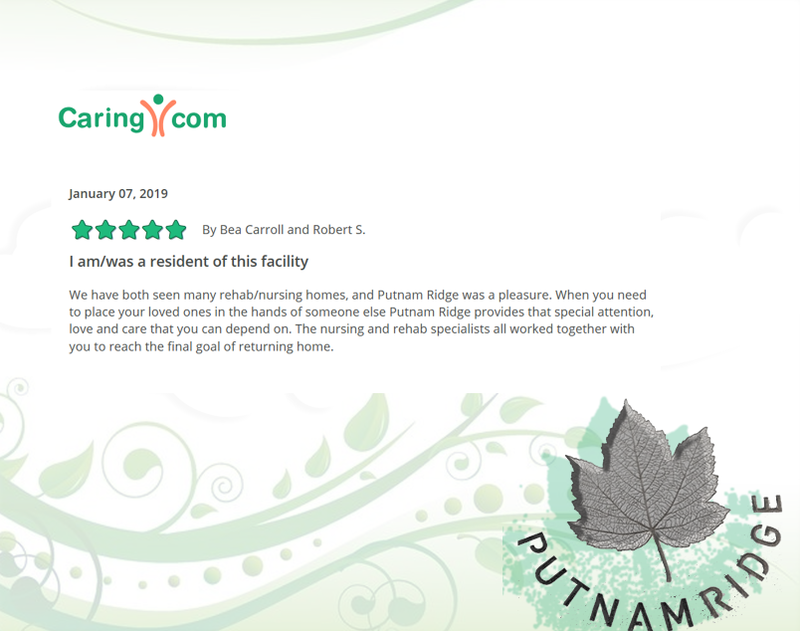 Check out our latest reviews on Caring.com! Go to caring.com and see what our customers have to say! Putnam Ridge Wishes Farewell To A Special Staff Member! Our beloved Human Resource Director, Louisa, is retiring after long and distinguished career at our facility! We wish her well and we thank her for her dedication and service! 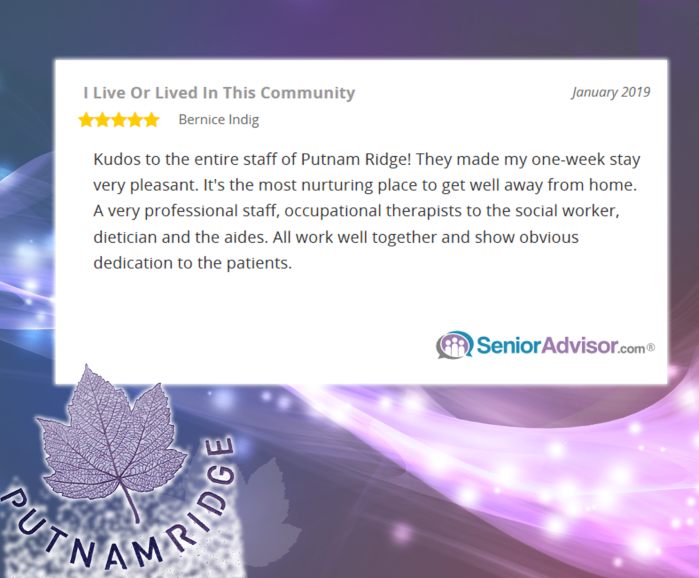 Putnam Ridge Adds Exciting New Consumer Reviews Web Page! Putnam Ridge Proudly Sponsors Covecare Center Spelling Bee! The Covecare Center hosted its 9th annual adult spelling bee last night. They are a non profit organization that helps individuals, families and the community, suffering from mental illness, drug and alcohol addiction. Putnam Ridge aka “the Caring Bees” was a proud sponsor of this fun filled event!